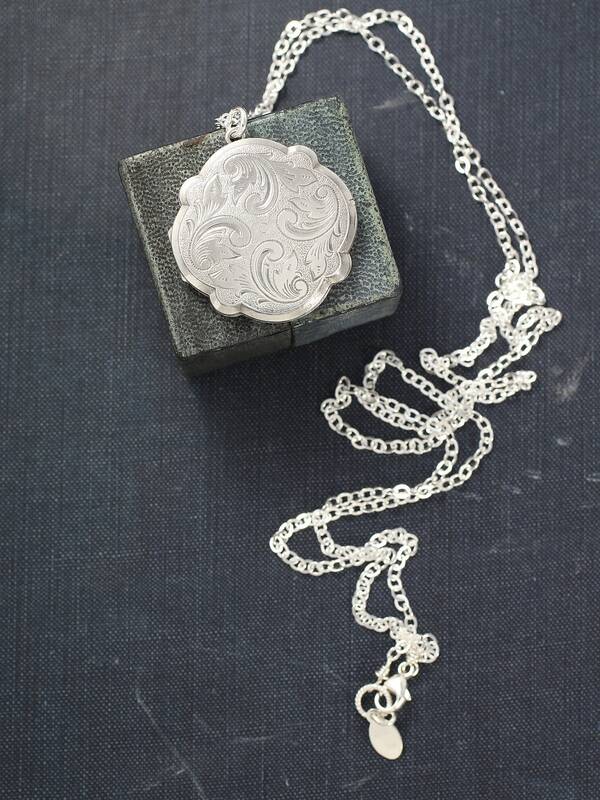 A rare vintage sterling silver locket is engraved with a beautiful swirl design set against a sparkling textured background. 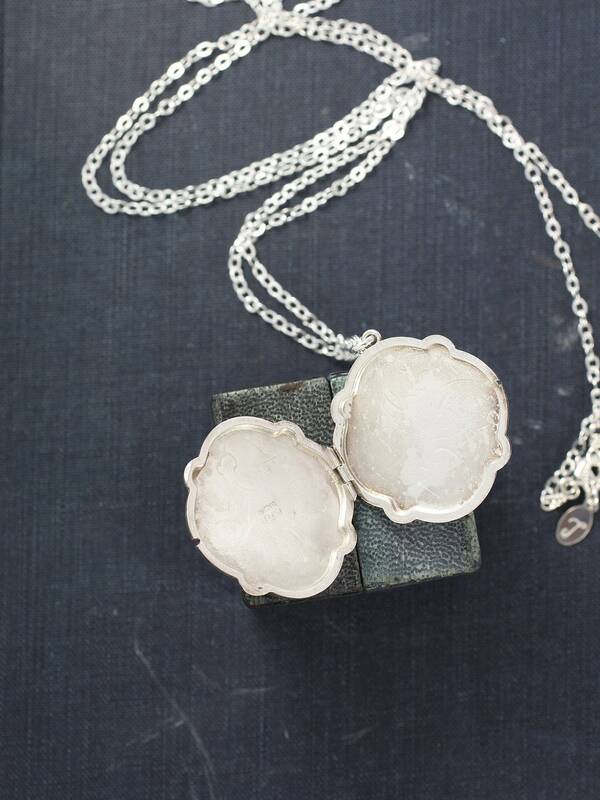 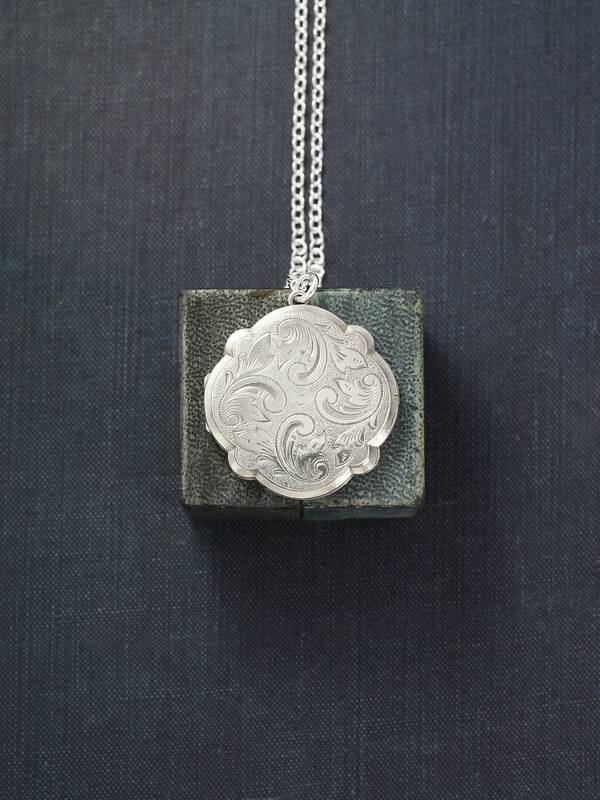 The scalloped edges of this overall round locket create a beautiful silhouette. 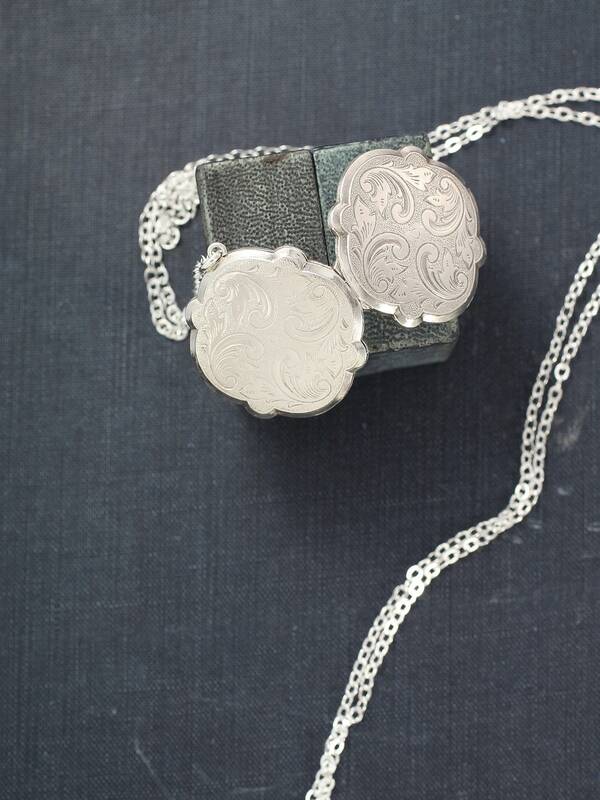 The locket opens to reveal full UK hallmarks and two places ready to hold your beloved photographs. 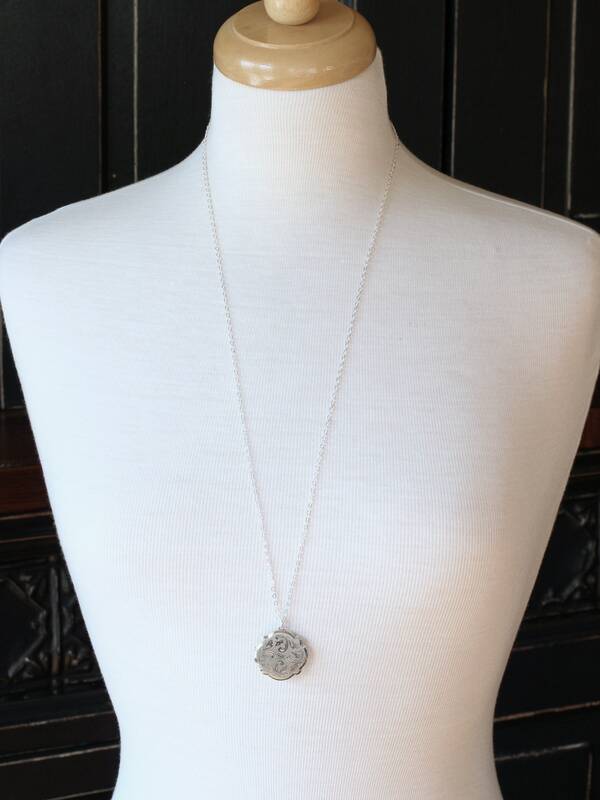 The design is set on a new sterling silver chain hand finished with a trigger lobster clasp and ring.